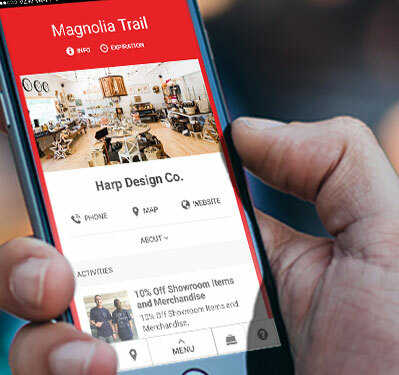 The Discover Waco passes connect venues in Waco, Texas and surrounding areas. 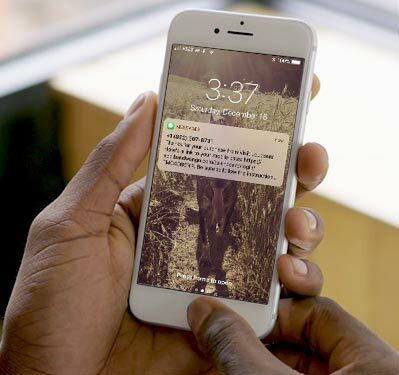 Each pass is instantly delivered via text and email to your mobile device. With no apps to download, simply add the pass to your homescreen straight from text or email for easy access! 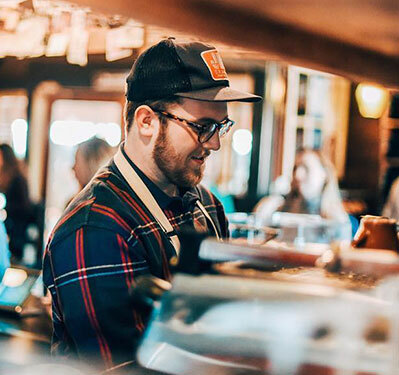 There are over 25 participating businesses in the passports and if you redeem at 10 or more locations within a year, you can earn the revered Best Texan Award! So download one of the mobile passports now while it’s on your mind. Then start redeeming at any of our participating venues to begin your year-long passport for everything there is to discover in Waco, TX. 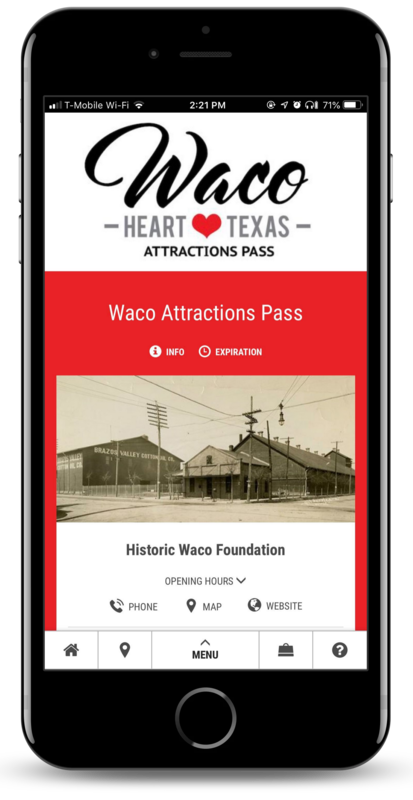 The Discover Waco passes are a curated collection of great deals and discounts for the best of Waco, TX and surrounding areas. The mission of HWF is to preserve the heritage of Waco and McLennan County, Texas for future generations and to present enriching diverse experiences. The Mayborn Museum Complex celebrates the natural science and cultural history of Central Texas. This 143,000 square-foot building on the Baylor University campus sparkles with numerous vibrant exhibits and compelling hands-on activities for the whole family to enjoy over and over again. 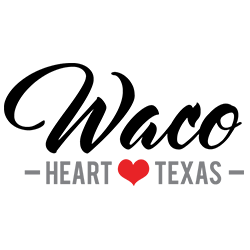 The Texas Sports Hall of Fame is a non-profit organization committed to honoring and remembering great sports legends of Texas. Come explore the world renown flavors of Balcones in a fun and educational experience as our bartenders talk you through our whisky making process as you enjoy a tasting flight of The Original Texas Whisky. Learn to nose, sip and discover different flavor profiles. A New Boutique in Downtown Waco behind Bicycle World. Women’s, Men’s & Children’s casual attire, gifts and more! Working ranch with horseback riding, fishing, an events pavilion & a quaint log home for rent. If this is your first trip to Waco or you have been many times, Brazos Tours should be on your “to do” list. See the custom homes, shops, and history of Waco during this 2 hour tour. You never know where we might stop! Brazos Valley Cheese is dedicated to crafting all-natural, high quality, healthy cheese using traditional methods and no artificial flavors, preservatives or coloring. Our milk comes from grass-fed cows that graze freely on three local Brazos River Valley Jersey/Brown Swiss dairies that do not use growth hormones or antibiotics. The high butterfat content of this milk makes rich, yellow, creamy cheeses that are used by the finest chefs and sold at the best retail shops in Dallas, Fort Worth, San Antonio, Austin and Houston. Every one of our cheeses is made with raw cow’s milk and all the hard cheeses are aged in our underground cheese cave. 52 acres of lush landscaping create a beautiful atmosphere to enjoy the wonders of the natural world. COCOAMODA is a Texas-based gourmet chocolate business where we create our chocolates and have a chocolate boutique. Get a great night’s rest at the Comfort Suites hotel near Baylor University. Home Decor and More Store. Featuring gifts, antiques, women's clothing, children's clothing, souvenirs, candles, jewelry, or hair bows. We are part gallery space, part events space, part artists studio, part class space, all Waco! Historic home of the nation's oldest major soft drink - Dr Pepper! We create quality handmade items for love. Love, laughter, and connection—these are things we all need, and the vision behind every piece we create. Just outside our doors is the tree in which we as teens shared our first kiss. At Kissing Tree Vineyards we make wines as memorable as that first kiss. Free International Cheese Tray With Purchase Of A Bottle. Guided themed heritage tours covering the past 170+ years, gathered through personal stories, written records, oral accounts, and even some local “legends and lore”. 20% Off our 3-hour “Sightseeing Overview” Living History Tour of Waco© for a Group With A Minimum Of Forty (40) Adults. 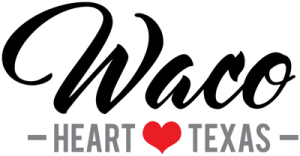 Experience the heart of Waco from the water! Skate World and Skate Country are two premier family entertainment centers located in Central Texas. Come taste and take home internationally recognized wines made from 100% Texas-grown grapes. With this special discount, $5 gets you a taste of 5 of our locally grown wines. Available Thursday through Sunday or by appointment. Riverboat tours offering a 2-hour scenic history tour, birthday party, and private party accommodations. The Waco Symphony Orchestra offers quality orchestral music for all of Central Texas. We provide a unique tour & tasting experience to Waco locals and visitors alike! By placing your order, you represent to us that you are at least 21 years of age and that the person receiving the alcoholic beverages is at least 21 years of age. The individual redeeming vouchers will be required to show identification proving that he or she is at least 21 years old. Merchant retains full discretion as to whether to sell a particular consumer an alcoholic beverage and will refuse the sale of an alcoholic beverage to a minor, to a consumer who is unable to produce acceptable verification of legal drinking age, or who is showing visible signs of intoxication. Vouchers are redeemable for certain goods, services or experiences offered by, or facilitated through, the Merchant identified on the Voucher. The Merchant is solely responsible for redeeming the Voucher. Furthermore, the Merchant is fully and solely responsible for the care and quality of all goods and services it provides to you and for any and all injuries, illnesses, damages, claims, liabilities and costs (“Liabilities”) it may cause you to suffer, directly or indirectly, in full or in part, whether related to the use or redemption of a Voucher or not. You waive and release Bandwango, Visit Waco, and its subsidiaries, affiliates, partners, officers, directors, employees and agents from any Liabilities arising from or related to any act or omission of a Merchant in connection with your use of a Voucher or the goods, services or experiences a Merchant provides in connection with the Voucher (“Activity”). YOU ARE VOLUNTARILY PARTICIPATING IN THE AFOREMENTIONED ACTIVITY AND YOU ARE PARTICIPATING IN THE ACTIVITY ENTIRELY AT YOUR OWN RISK. YOU ARE AWARE OF THE RISKS ASSOCIATED WITH TRAVELING TO AND FROM, AS WELL AS PARTICIPATING IN THIS ACTIVITY. YOU UNDERSTANDING THAT THESE INJURIES OR OUTCOMES MAY ARISE FROM YOUR OWN OR OTHER’S NEGLIGENCE, CONDITIONS RELATED TO TRAVEL, OR THE CONDITIONS OF THE ACTIVITY LOCATIONS. NONETHELESS, YOU ASSUME ALL RELATED RISKS, BOTH KNOWN OR UNKNOWN TO YOU, OF YOUR PARTICIPATION IN THIS ACTIVITY, INCLUDING TRAVEL TO, FROM, AND DURING THIS ACTIVITY. I agree to indemnify and hold harmless Bandwango, Visit Waco, and its subsidiaries, affiliates, partners, officers, directors, employees, and agents against any and all liabilities brought by you or anyone on your behalf, including attorney fees, and any related costs, if litigation arising pursuant to any claims made by you or by anyone else acting on your behalf. You acknowledge that Bandwango and Visit Waco and their directors, officers, volunteers, representatives and agents are not responsible for errors, omissions, acts or failures to act of any party or entity conducting a specific event or activity in connection with the Activity. By purchasing, viewing a mobile version, printing, accepting, using or attempting to use any Voucher, you agree specifically to the terms on the Voucher and any additional deal-specific terms advertised in connection with and on the Voucher at the time of purchase. These rules apply to all Vouchers that we make available, unless a particular Voucher’s fine print states otherwise, and except as otherwise required by law. In the event of a conflict between these rules and a Voucher’s fine print, the Voucher’s fine print will control. Any attempt to redeem a Voucher in violation of these Terms & Conditions will render the Voucher void. The Merchant is the sole issuer of the Voucher. Vouchers are not redeemable for cash. Unauthorized or unlawful reproduction, resale, modification or trade of Vouchers is prohibited. Pricing relating to certain Merchant offerings and Products on the site may change at any time in Bandwango and Go Cedar Rapids discretion, without notice. Customer information is collected for the purpose of processing your order. This information is kept confidential and is not shared. During checkout, we may ask you if you would like to receive marketing communications. If you opt-in, you will receive communications according to what you opted into. YOU ACKNOWLEDGE THAT YOU HAVE CAREFULLY READ THIS “TERMS AND CONDITIONS” AND FULLY UNDERSTAND IT INCLUDES A RELEASE OF LIABILITY. YOU EXPRESSLY AGREE TO RELEASE AND DISCHARGE BANDWANGO AND VISIT WACO AND ALL OF ITS AFFILIATES, MANAGERS, MEMBERS, AGENTS, ATTORNEYS, STAFF, VOLUNTEERS, HEIRS, OR REPRESENTATIVES, PREDECESSORS, SUCCESSORS AND ASSIGNS FROM ANY AND ALL CLAIMS OR CAUSES OF ACTION AND YOU AGREE TO VOLUNTARILY GIVE UP OR WAIVE ANY RIGHT THAT YOU OTHERWISE HAVE TO BRING A LEGAL ACTION AGAINST BANDWANGO OR VISIT WACO FOR PERSONAL INJURY OR PROPERTY DAMAGE.